One of my favorite books of all time is Tourist Season, Carl Hiaasen’s hilarious debut novel which utilizes alligators, both living and rubber, as murder weapons. It resonated so much with me because I’ve spent most of my adult life in rural paradises that are unfortunately very appealing to tourists, scammers, and developers -- somewhat like Hiaasen’s Florida. Now I’ve found another rollicking novel dealing with the conflicting values between those who love the rural landscape, those who want to develop it, and the woo woo invaders who love it but just don’t “get” it. The team who wrote the Silverville Saga, are astute observers of rural Western Slope Colorado and have nailed the setting and citizenry and what happens when change hits these communities. A purported UFO sighting leads to economic development when a shady citizen jumps on the bandwagon to publicize it as vacation destination complete with a UFO themed museum, motel, and amusement park. 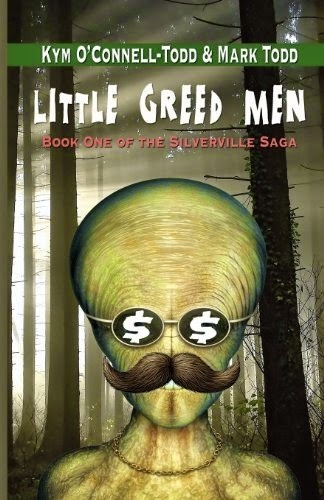 The town hires a UFO expert to guide the campaign but when on his way to Silverville, he gets out of his car to pee on a mountain pass during a late spring blizzard and is accidentally hit and killed by a con man who inadvertently takes on his identity. 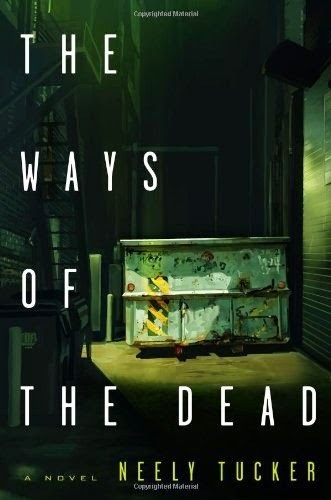 Quirky characters, twisty plots, and guffaw worthy coincidences combine for a thoroughly delightful reading experience. One of the good things about reading a book when it isn’t brand-new-hot-off-the-press that does have sequels is that the reader doesn’t have to wait around for years for the next book. I can request a copy of All Plucked Up right now and be reading it later this week! Eighteen-year-old Maia, the son of the emperor of Untheileneise, has lived in exile all his life, relegated to a manor far from towns, cities, and the royal court of his elvish father, under the guardianship of a cousin who hates him. His life has been desolate since his goblin mother died when he was only eight years old and he has experienced no kindness or affection since she died. When a dirigible carrying the emperor and Maia’s many half brothers crashes and burns, he finds himself the new emperor. Going to court, woefully unprepared for politics, his innate good sense and kindness come into play as he faces racial prejudice and political rivals who would welcome a coup. While Maia may be naive in the ways of palace intrigue, he is far from that in his appraisal of human (elvish & goblin) nature. Discovering that the dirigible explosion was intentional, he faces even more dangers. 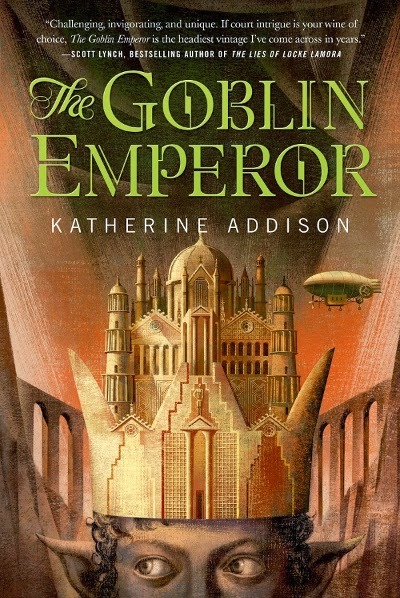 Addison’s complex world building is some of the best in fantasy this century. In addition to creating a political system, religions, language, and customs, her world also looks at race and gender roles. I loved the expressions and emotional nuances delineated by what is going on with the placement and attitude of characters’ ears. This satisfying read is going on my list of top ten so far this year. At ALA I was able to pick up three ARCs written by some of my very favorite authors. I read them too fast and now, alas, I must wait a long time for their next books. 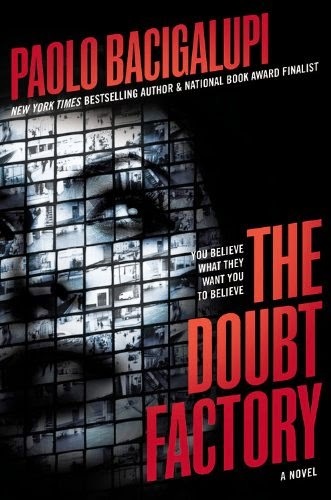 Paolo Bacigalupi's Doubt Factory was a real change for him in many ways. It was contemporary suspense/thriller instead of science fiction but did feature insightful social commentary and exposes serious problems facing the world. 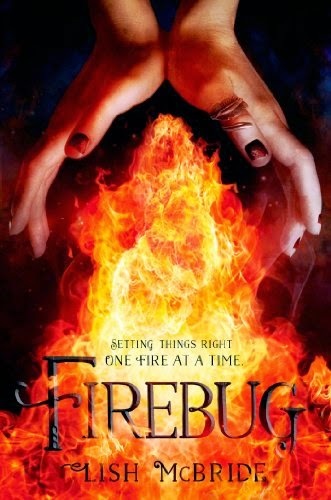 Lish McBride's Firebug, featuring a a young woman with the ability to create fire, rebels against the organization and its leader that has forced her to perform assassinations, kept me entertained while sitting in the hospital while my dear husband was going through knee replacement surgery. McBride is masterful in creating groups of characters with all their relationships and baggage who come through for each other. It was great to be surrounded by such an interesting and illustrious crowd while going through such a worrisome time. 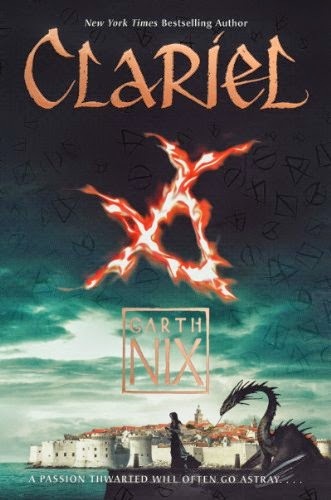 Clariel by Garth Nix was wonderful. A stand alone prequel, it will send readers to hunt down his other Old Kingdom books immediately. Clariel wants to be a Borderer but as the daughter of prominent gold smiths, a member of the Abhorsen family, and a close relative to the throne she is forced to go to the city where politics and magic are running amok. 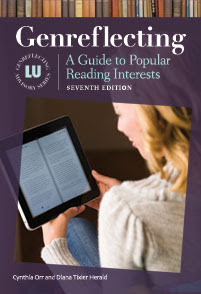 Just returned from the annual American Library Association conference where I received Novelist's Margaret Monroe. So many good friends showed up to celebrate with me. It was wonderful. Picked up many advance reading copies that looked like good reads and mailed them home. Can't wait to try them. I did put three of my most highly anticipated books in my carry on and am thrilled I was able to get them. They are Clariel by Garth Nix, The Doubt Factory by Paolo Bacigalupi, and Firebug by Lish McBride. 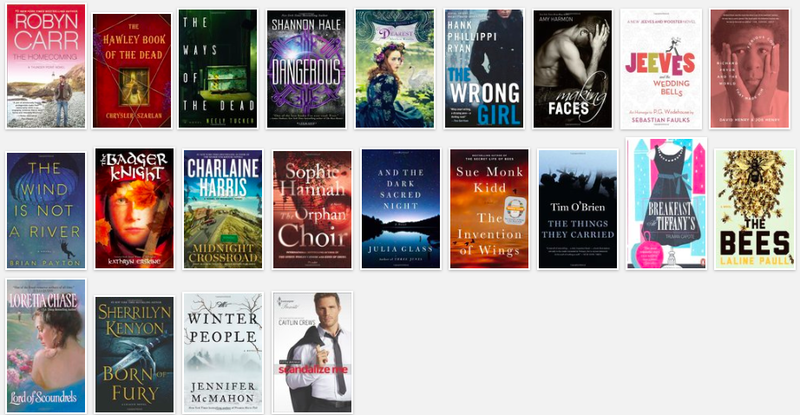 June ended up being a very wild and busy month but here are the books read.